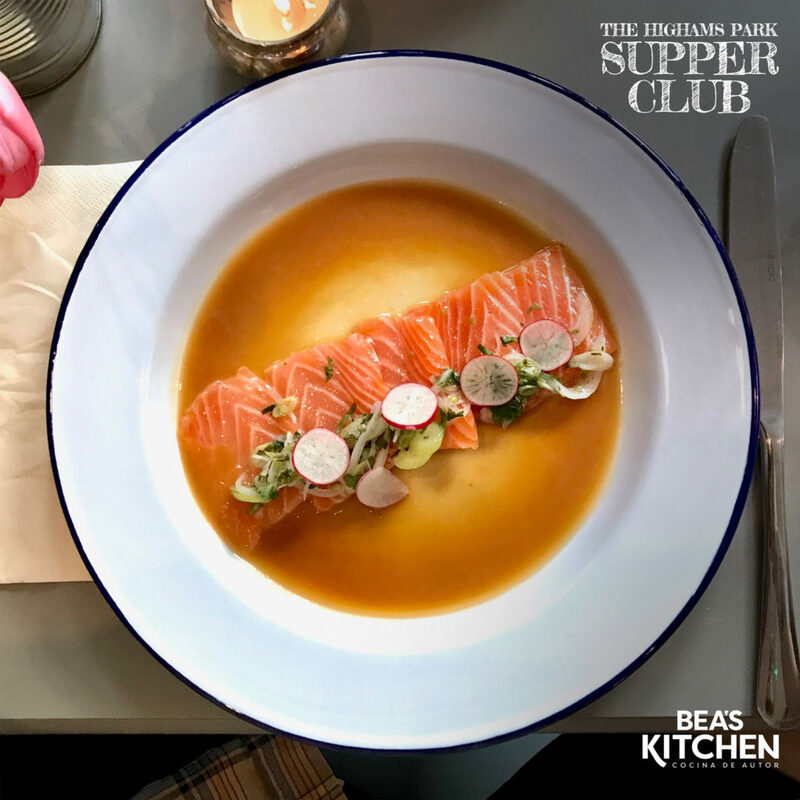 The Highams Park Supper Club has been an amazing experience. Thank you to all of you that came to the latest evening, and to those of you that couldn’t join us but have shown interest in upcoming events. Our friends from Ziggy Played Guitar made sure that everyone had a great time and provided a relaxed and friendly atmosphere. We enjoyed so much, that a new date has already been set for Friday 21st of July. 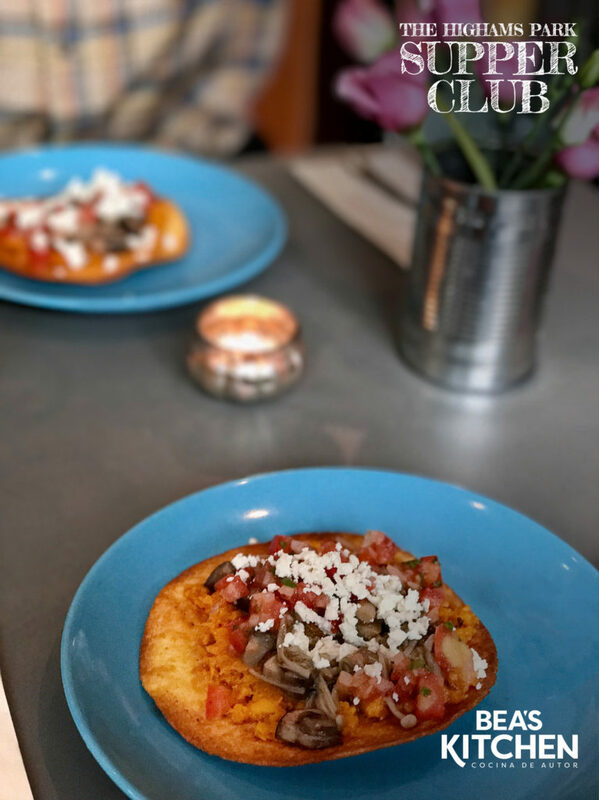 We started the evening with canapés, followed by a wild mushroom and roasted butternut squash tostada. 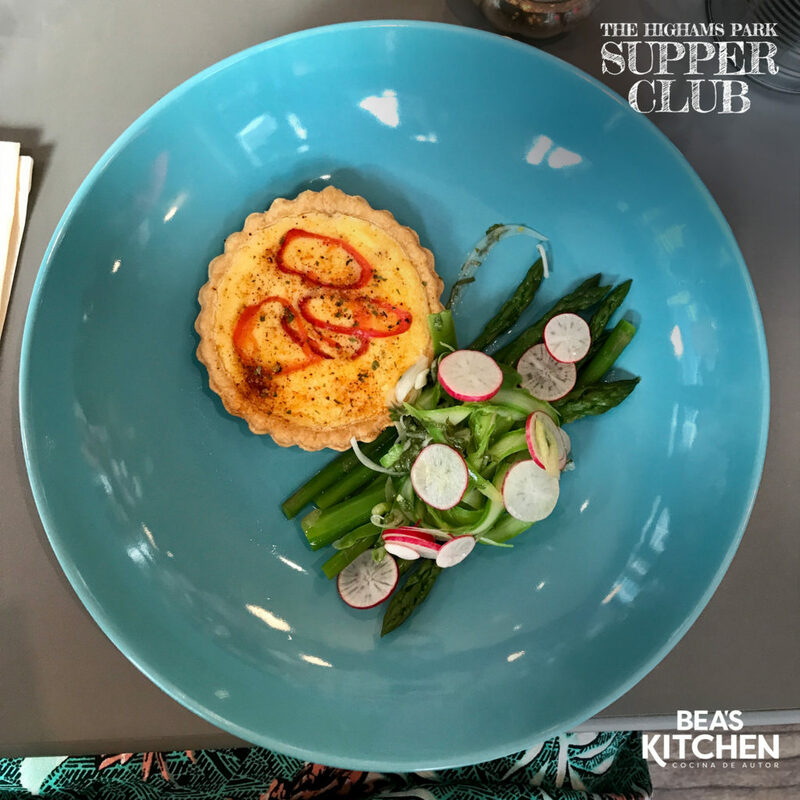 As an alternative, I made a roasted chilli quiche, served with a refreshing asparagus and coriander salad. Perfect for a warm summer evening! 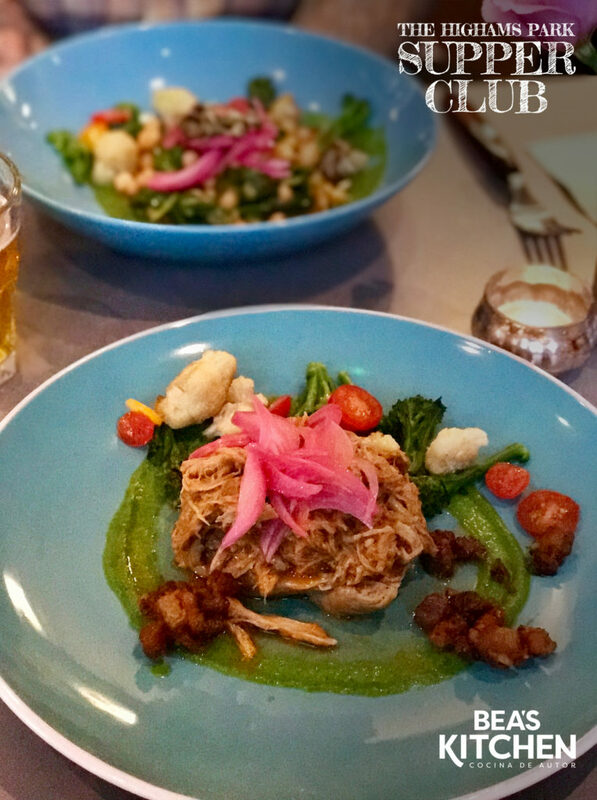 For the main course the inspiration was Cochinita Pibil, an ancient recipe from the Yucatán peninsula in Mexico. I add chipotle to my version. The mild spice of those smoky chillis add a little bit of depth. The vegetarian option was scrumptious. Chickpeas slow-cooked in a similar base of chipotle and oranges as I used for the pork, with a bit of tomato and topped with delicious pickled red onions and toasted pumpkin seeds. To close the night, another of my favourites: Chocolate y Lulo. Always a joy to introduce Lulo fruit, very proudly Colombian and one of my favourites. 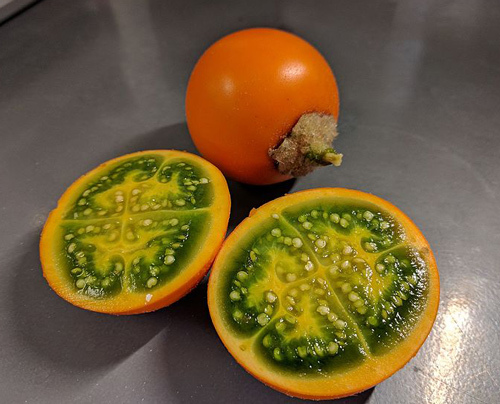 It’s from the same family as the tomato but with a slightly thicker furry skin. A difficult flavour to describe, but somewhere between strawberries, gooseberries, lime and rhubarb(!). Well, I’m sure it will come about again in one of my dishes, so if you didn’t try it already you probably will at some point. A special thank you to Hannah for the pictures!